We were in Aruba, a small Caribbean island that is home to about 35 Jewish people. Sunday morning, we started with calling the “Jew of the island.” Tony is his name. He knows everyone and everything and waits a whole year for the Roving Rabbis to come. We got back into the car, and Tony asked, “Where now?” As per our request, Tony directed us to the Jewish cemetery where Tony showed us were his parents are buried. We said some Psalms together. He sent a message to some people who were waiting for him that he would be a little late, and we sat down to speak for a while. We talked about his family and their Jewish heritage. He told us how he is planning on commissioning a monument for Anne Frank in Aruba, to remind people of the Holocaust and how we have to be tolerant of one another. We also spoke about the upcoming New Year and the shofar. He asked, “So did you bring the tefillin?” Of course we had them. So he put on the tefillin, said some prayers and heard the shofar. We presented him with “Towards a Meaningful Life,” a book based on the teachings of the Lubavitcher Rebbe, of righteous memory. He asked us to keep in touch and send him the email addresses of the rabbis who had come in the past few years. Right before we left Aruba for Bonaire (were we currently are), we printed pictures of our time together, framed them, drove back to the Parliament and gave them to the Prime Minister. He then placed them on the table in his office (right next to his mother). Then came—again—the tefillin and the blowing of the shofar. As we were preparing to leave, he asked that we arrange him his own pair of tefillin. 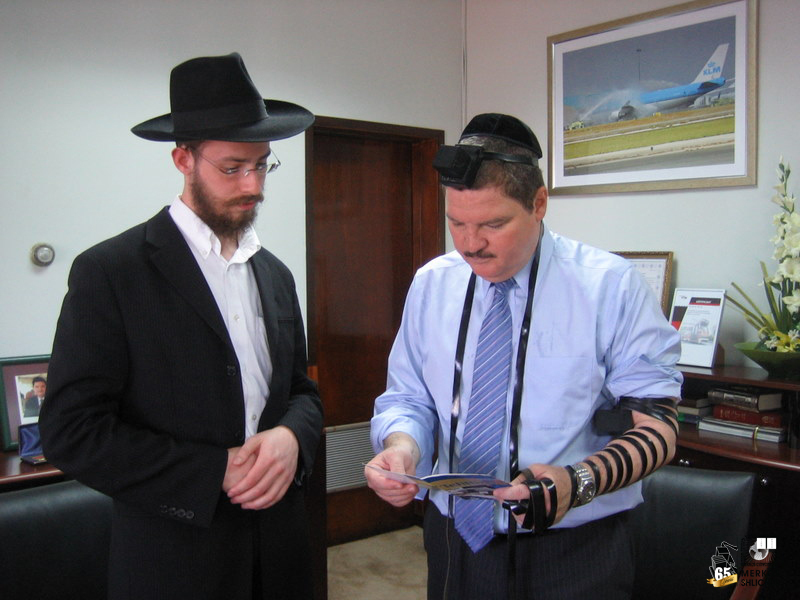 So if you’re ever in Aruba and need to find a pair of tefillin, you always get one from the Prime Minister! We hugged, wished him and the whole of Aruba a happy and sweet new year and ran downstairs to catch our next appointment. With permission from RovingRabbis.com. For more stories, photos and the latest news of Merkos Shlichus please visit RovingRabbis.com. 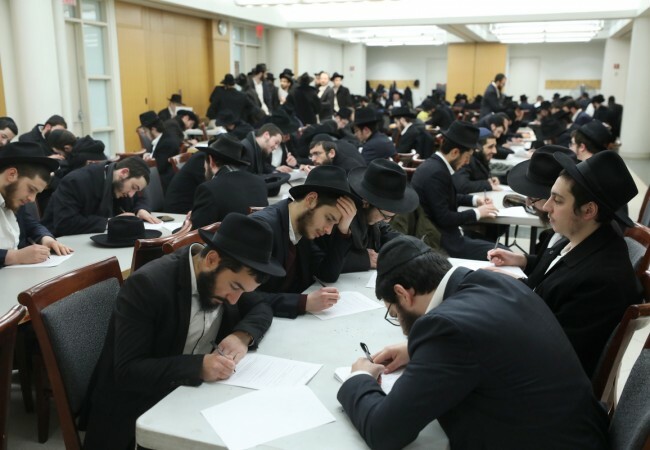 Summer Merkos Shlichus 5770 Registration NOW OPEN!